My fellow coloring enthusiasts were clamoring for Christmas images! As I explored what people most enjoyed, I found that drawing classic holiday images also gave me the most joy. I especially love the lights during the holidays, so you’ll see my strings of lights appear in a couple of images in this book. I also love holiday wrapping paper! 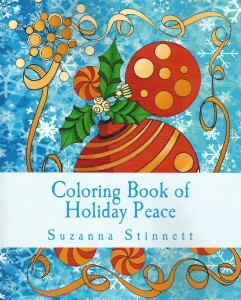 I love the holidays bright colors are so much fun to look at I live coloring fir the holidays with my family and friends. I would love this book.